Less than a week after four major sponsors called for embattled FIFA president Sepp Blatter to resign immediately, the global soccer organization, which stages the World Cup competition, has suspended its leader for 90 days. The move by the association's ethics committee comes in the wake of a Swiss criminal proceeding opened last week against Blatter, alleging he sold TV rights at below-market value to a former FIFA official, among other charges. Blatter, who has consistently denied any wrongdoing, has been under intense pressure to step down since news of a wide-ranging bribery and money-laundering scandal broke in May. That call reverberated with renewed force last Friday, when key sponsors Coca-Cola, Anheuser-Busch InBev, McDonald's and Visa issued separate statements in what appeared to be a coordinated effort, insisting that Blatter leave immediately. In addition to Blatter, FIFA took action against several other officials, most notably vice president and Union of European Football Associations chief Michel Platini, who was seen as Blatter's likely successor. (Blatter is also accused of making a "disloyal payment" to Platini for consulting work.) Like Blatter, he was banned for 90 days, and both suspensions can be extended for 45 days if necessary. Ex-FIFA vice president Chung Mong-joon, also viewed as a possible Blatter successor, was banned for six years. The officials have 48 hours to file appeals. Issa Hayatou of the African soccer confederation (who was reprimanded in a FIFA kickbacks scandal four years ago) will serve as acting president until a special election is held in February. In a statement, Blatter's lawyers said the newly suspended president was "disappointed," and claimed the ethics committee's decision was based on "a misunderstanding of the actions of the attorney general in Switzerland," according to the BBC. The long-term impact of the ongoing scandal for FIFA's brand, and global soccer in general, has been a matter of much debate. "The good news for FIFA is that consumers' passions are with athletes, not administrators," John Kritstick, global CEO at WPP-owned sports marketing firm ESP Properties, told Adweek this summer. "An on-field scandal (such as doping or match fixing) would have a different impact. Plus, the schedule around the men's World Cup gives FIFA time to let process play out and bring about change." Ironically, the controversy may have a positive impact on the sport, "provided, of course, that sponsors, broadcast partners and other governing bodies remain committed to wholesale change," said David Carter, principal at The Sports Business Group, and executive director of the USC Marshall Sports Business Institute. 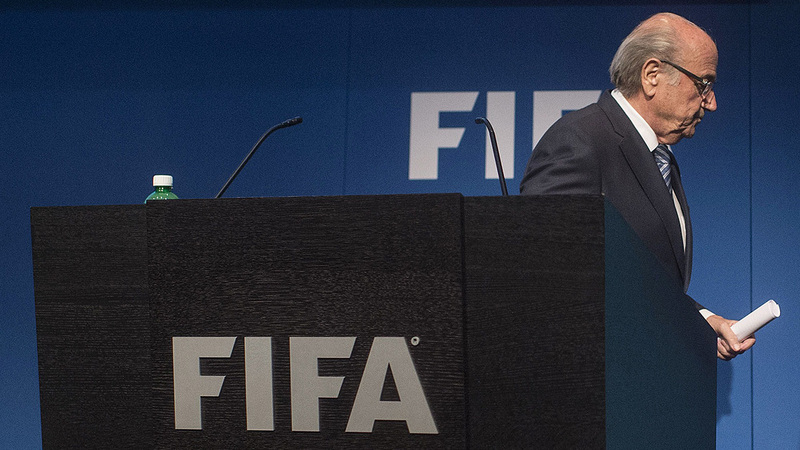 "Meaningful reform will help all those conducting business in and around the world of soccer."